Joseph “Joe” Peter Marancik, 93, peacefully passed away on October 3rd 2018 with his loving wife of 67 years, Margaret by his side. Joe was born in Elizabeth, New Jersey on June 29, 1925 to Connie and Joseph Marancik. He graduated from Brown University with a degree in Mechanical Engineering and went on to do graduate study at Rutgers University. He continued his career as an engineer until his retirement in 1995. Joe was responsible for designing many important mechanical systems for a variety of companies. Joe enlisted in the Navy right after high school and served as a navy pilot in World War II. He was chosen to serve in a special program for pilots and piloted a P 17 Yellow Peril. Joe was an avid skier both Alpine and Nordic. He and his wife traveled many places and enjoyed skiing together. He passed this love on to his children, grandchildren and great grandchildren. Joe continued to ski well into his late 80’s. He also enjoyed mountain biking logging over 1,000 miles a year on his rides. Along with these activities he was an accomplished tennis player. As with many things he and his wife pursued these passions together. They also enjoyed traveling and took many memorable trips to Italy, England, Scotland, Wales, Germany and other places throughout the world. Joe’s true passion was fly fishing. He was a member of Trout Unlimited for many years and a purest in matching the hatch. He loved enjoying the peaceful quiet of the river, watching the trout rise and would be there every moment he could get away from his busy life. He passed along this passion to his sons, grandchildren and great grandchildren who continue to enjoy this sport and carry on his fishing legacy. He was actively involved in field trails with his beloved German Shorthair Pointers. He served as president of the New Jersey German Shorthair Association. Joe was one of the first to have this breed imported from Germany. He mostly enjoyed pheasant hunting with his shorthair Fritz. Joe became interested in horses when his daughter developed a love for riding. They spent countless hours riding together and he devoted many weekends as a “horse show Dad” supporting his daughters interest. 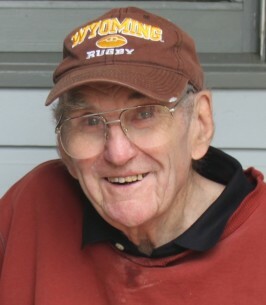 Above all Joe was a loving husband, father and grandfather who passed along his zest for life to all he encountered. He is survived by his wife of 67 years Margaret, Sons John and Peter, daughter Laurie, his brother William and 6 Grandchildren and 5 Great Grandchildren. A celebration of life will be held at the 48th Street Church of Christ Billing Mt. on Saturday October 13th at 11:00 a.m. 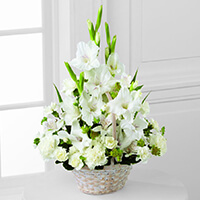 In lieu of flowers memorial donations may be given to Hospice in your community. To plant a tree in memory of Joseph Peter "Joe" Marancik, please visit our Heartfelt Sympathies Store. 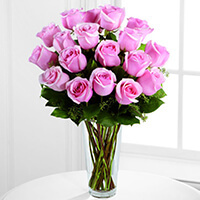 14 N. 48th St W.
I want to send my deepest condolences to Margaret and the entire family. Cousin Joe, his brother Bill and my brothers and I grew up together. I have many warm memories of the Marancik family and I share them often with my children, including Joe's talent and his love of fishing! I am glad to be in touch still with Cousin Bill. The news of Joe's passing saddened me and I wanted to contact you to share my sympathy and love. Carl Siebentritt and family (my daughter Gretta lives with me -- grettaks@rcn.com). We welcome a visit any time if you are in the Virginia area. With deepest sympathy to all the family from England. Joe, wWe will never forget your kindness, good humour and love of family & fishing.